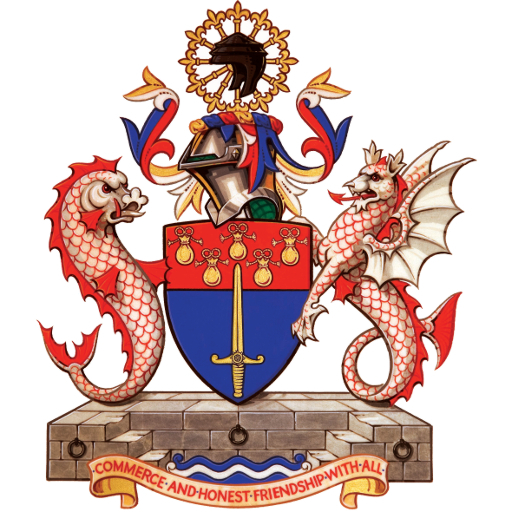 Livery Companies have links to all three services, and the World Traders annually give awards and/or help to the men and women of HMS Dauntless, 1st Rifles and No 28 Squadron RAF Benson. But we all have links to cadets as well and our relationship is with 1475 Dulwich Air Cadets, who recruit youngsters, male and female, from Lewisham and Southwark. Last year a new Commanding officer took over the reins. Flight Lieutenant Richard Wash started as a 14 year-old. He distinguished himself and went on to do a BA degree at London University. He is now a senior policeman. 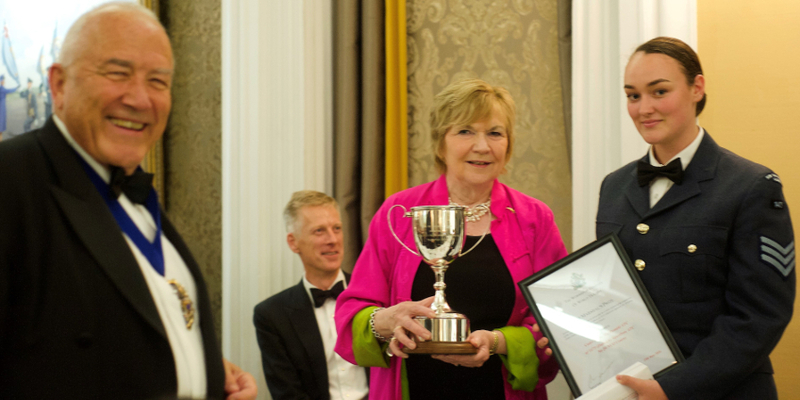 Past Master Baroness Sue Garden was Guest Speaker and handed over the trophy which she had commissioned when she was Master World Trader. I had the pleasure of sitting at dinner at the RAF club with cadets and trainers – plus three Air Marshals and the Master Dyer and Master Haberdasher, who also partner the Squadron. I handed over certificates and gifts to Cadet Sergeant Stevie MacDonald (the Female Cadet in the photo) for 2016 and Cadet Corporal Joe Panni for 2017. I later talked to their immensely proud and grateful parents. Congratulations too to Squadron Leader Kevin Mehmet for all he has done for the Squadron and its City associations for so many years.